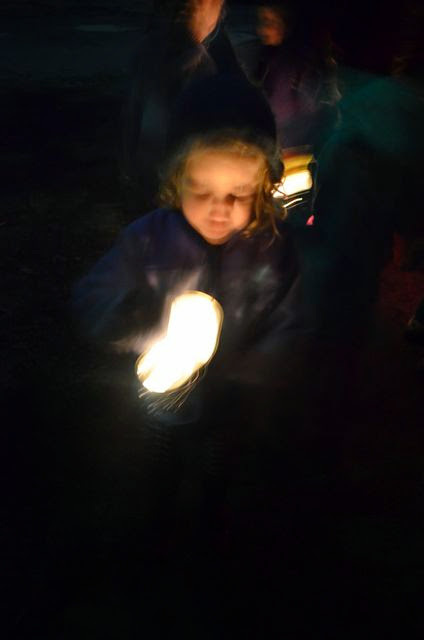 We went for our now-traditional lantern walk down by the Merri Creek last friday. It's my little nod to the winter solstice and the general joy of small children in winter woollies. It was a still, cold evening with an almost full moon. The creek was not at it's best - the recent rains brought a deluge of plastic shopping bags downstream to snag in the branches and reeds. Not very attractive and a bit depressing. 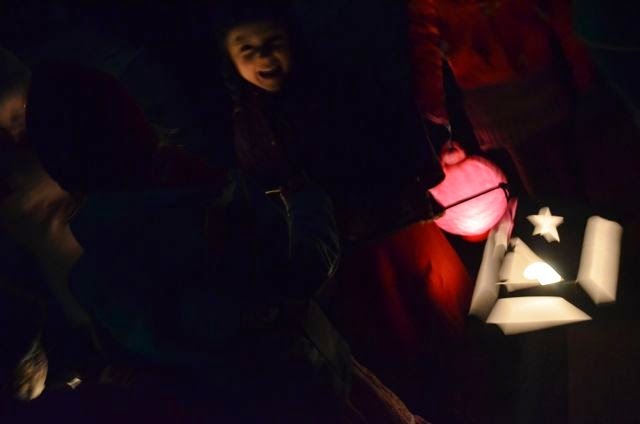 But the children and their friends were excited to be out, together, after dark.